Have you thought about planning a home maintenance schedule? Some of us are more structured than others. If you find yourself to be one who is not, it may be best for you to hire the right professional for the more daunting tasks. A home maintenance schedule keeps your house safe and it will save you major expenses down the road. See the tasks below, organized by the time of year. 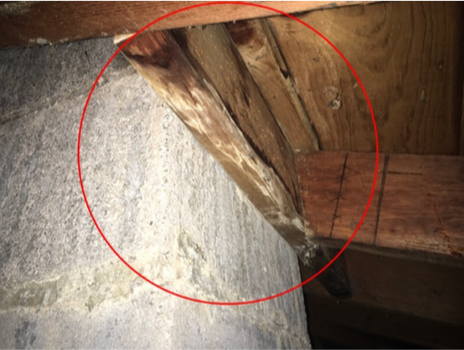 Check masonry for cracks and loose joints on exterior walls. On the exterior, check painted surfaces for paint failure. Check the underside of the roof for water stains or dampness (see picture below). Check for damaged flashing on the roof. Please hire a roofing contractor if you are unable to climb a ladder. Inspect safety and reversing mechanism on electric garage door openers, adjust if needed. If the underside of your roof looks like this, you need to hire a roofing contractor to evaluate and repair. Drain outside water lines and hoses. Inspect weatherstripping for damage and tightness of fit. Check caulking at doors, windows, and all other openings. Check roof vents, louvers, and chimney caps/housings for bird nests, etc. Hire a professional HVAC contractor to check your heating and cooling system. Many companies offer a bi-annual maintenance program. 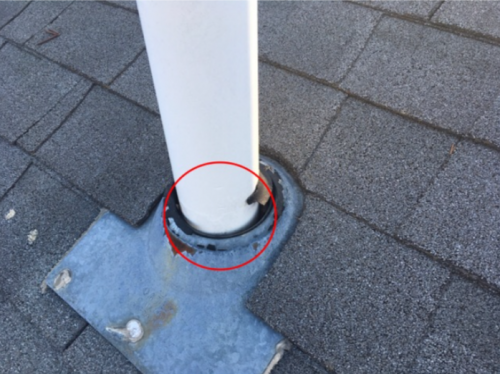 Rubber plumbing vents are often problematic, over time they can look like this. We recommend replacing these with a lead flashing. Check for damaged gutters, downspouts, strainers, and rust. Inspect grouting/caulking around tubs, showers, and sinks. If breakers trip frequently, call a professional and licensed electrician to locate the cause and make repairs. Test GFCI receptacles (ground fault circuit interrupters). Clean or change air and water filters. 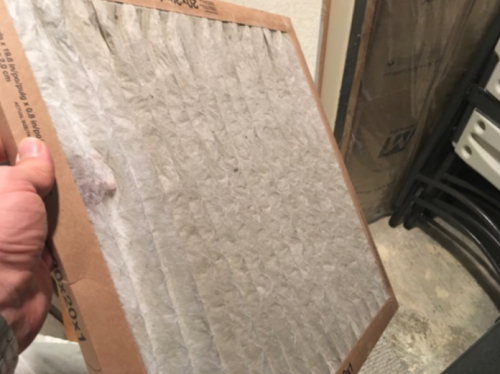 It’s time to replace your furnace filter if it looks like this. A home maintenance schedule is a perfect solution so this will not happen again. Would you like a more detailed list? Schedule a maintenance inspection today and Lucent Home Inspections will provide a thorough report regarding the specific maintenance needs of your home. As professional home inspectors, we serve Peoria, Bloomington, Morton, Washington, Dunlap, Hudson, Eureka, Goodfield, and more!